The Tingley Tuff-Enuff Plus PVC Two-Piece Rain Suit is made of 2 layers of PVC laminated together for better strength and more protection against rips and tears. 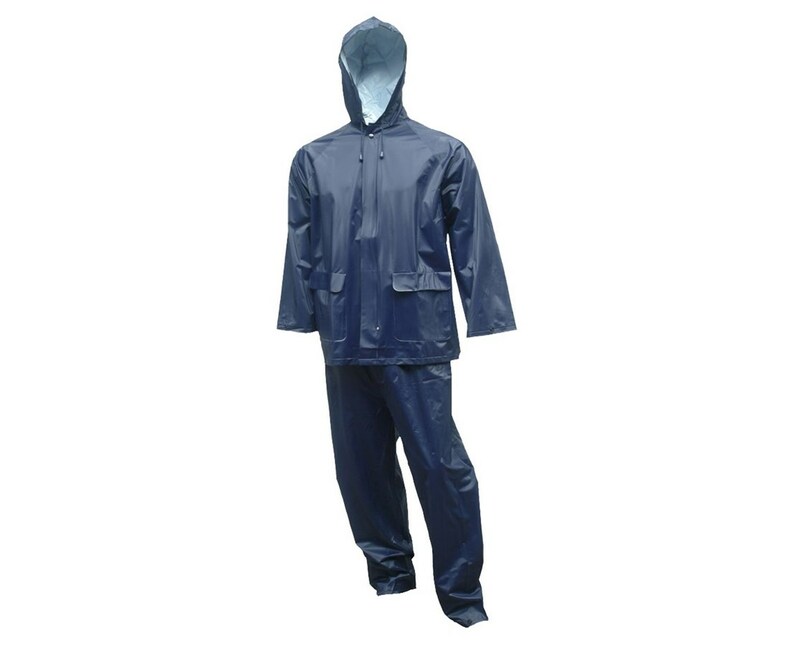 A sturdy 0.25mm thickness makes this rain jacket and pants set a good choice for outdoor activities such a working in the garden or going on a fishing trip. Nobody likes getting rained on, and with this waterproof rain suit, you can remain dry and comfortable when you go out. This Tingley rain gear has many features designed to protect you from inclement weather. All seams are electronically welded to keep moisture out. The waterproof jacket has a front zipper closure with an outside storm flap to seal out wind and rain. The attached hood with draw cord can be pulled tightly around your face to protect your head. The vented cape back and underarm vents allow air circulation to help keep you comfortable. Cinch snaps at the wrists help protect your arms from drips. The rain jacket has 2 front pockets with flaps to keep the contents dry. The waterproof pants have an elastic waist with snap-front fly. Take up snaps at the ankles make for an easy fit into rain boots and help prevent splash-back from the ground. All snaps are made of plastic, so they are non-conductive. 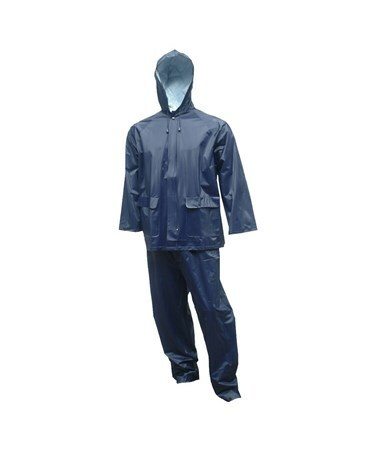 This Tingley rain suit comes in a choice of 2 colors: navy blue and yellow. The blue provides a more fashion-conscious color choice, while the yellow gives greater visibility if you will be walking near areas with vehicular traffic. 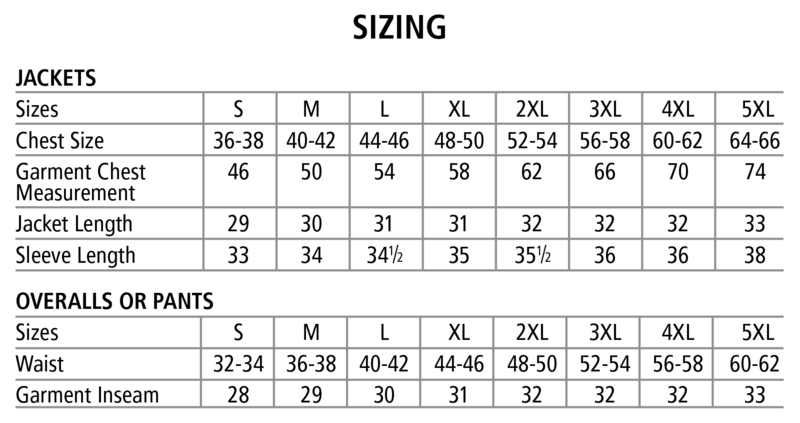 You have a choice of sizes from S - 3XL, fitting chest sizes from 36" - 58" and waist sizes from 32" - 54". Keep in mind that this rain suit is designed to be worn over your clothes, so measurements will need to be taken over the clothing you plan to wear. Several inches of allowance will be needed, especially with heavy winter clothes. Please click on the “Sizing Chart” icon above for more details about sizing and instructions on how to measure for the correct fit.